We have all the necessary ­skills and experience require­d to handle your project from start to finish. From just one call we will coordinate the whole project and provide all services you need. From your initial inquiry, our consultant will visit you and quickly determine the feasibility of your plans. Your specific requirements will be discussed with you and advice given on the most suitable extension for your property. Within 7 days you will receive a full specification and fixed price quotation. With JCLloyd you can be confident that your conversion will be installed by a qualified and highly skilled work force, which will carry out the work quickly and efficiently with the minimum disturbance and inconvenience. 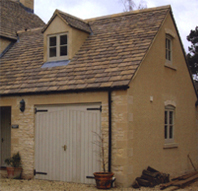 Please Click below to View some of our Extension completed projects.